Quoc Le speaks to Blockleaders about personal transformation and how money, the language that binds us together, is being transformed through cryptocurrency. The Vietnam war became a pivotal moment in the history of both the United States and the Vietnamese nations. The military confrontation lasted some nineteen years but the official end of the war became the beginning of a much longer and deeper conflict in the region and in the homeland of the defeated American army. The outcome of the Vietnam war had significant geopolitical ramifications for the region. North and South Vietnam were unified into the Socialist Republic of Vietnam shortly after the end of the armed conflict, which led to the creation of the so-called ‘re-education camps’. Some 300,000 people were sent to such places after the war. 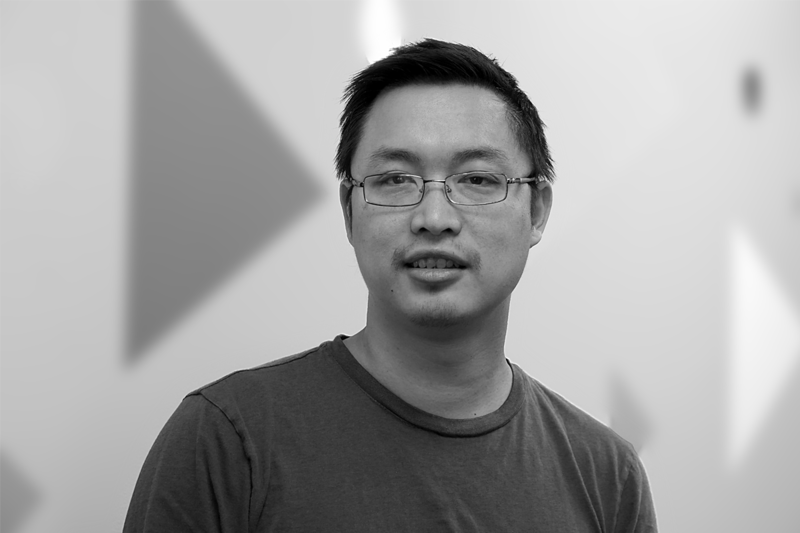 Quoc Le is an amazingly talented individual who is the co-founder and managing director of crypto-exchange QUANTA, among many other accolades. Quoc hails from Vietnam and knows first-hand about Vietnam’s troubled past. His father had been a member of the South Vietnamese army and was interned in a re-education camp for several years. Now, Quoc is a successful individual who lives a different life in the United States. I was keen to talk to him about his past, his present, his work on the blockchain space, and what he thinks about the future. I like to know what motivates the people I talk to and find out what it is that attracts them to their current working environment. “I tend to work with projects of high-end technology and projects that I have a certain expertise on. The reason that QUANTA is a crypto exchange, for instance, is that I have a financial background. I have worked with Paypal, eBay, and others, and I have a personal interest in quantitative finance. So it feels natural for me to work on this space. Besides, I believe that cryptocurrencies and blockchain enable us to do something really good in the market. “One of the biggest hurdles at the moment is that there is a lot of currency manipulation in the system and bad practices in exchanges, whereby they charge exorbitant fees, for instance. Also, they have data that nobody else does, so they have an advantage when it comes to trading. They actually trade themselves, which should be illegal. Quoc was born in Vietnam and moved to the United States at the age of nine. There are a number of years of awareness there, where Quoc experienced life in a post-war country ravaged by issues of political and social revenge. These years were not easy, and I was keen to learn more about life in Southeast Asia and how Quoc’s life developed on the other side of the world. “Life (in Vietnam) was much simpler. To put everything in contrast, we had no running water, electricity, or a functioning toilet. We had no TV or radio, either. There was only one TV in a nearby town, so we had to walk far to watch it. This was my reality as a child in Vietnam in 1994. Life for those who have been vanquished in battle is not easy, particularly when war has been waged between two sides of the same country. The defeated side becomes trapped in a hostile environment. Vietnam was no place to raise a family. “We were lucky in a way, as my father qualified for the US-sponsored immigration policy. My family and I came to the US as part of a refugee program, after my father was freed from the camp. The culture (when I moved to the US) was quite a shock. I was naturally curious about everything. Things that you take for granted, like going into a library, for instance, just the fact that I was able to access all this information. I could never have done that in Vietnam. “So you can imagine the shock when we emigrated. We went to Thailand first, then Japan, where I saw my first vending machine, for example. The US was a different world altogether. We had all these conveniences which we never had before, TV, radio, etc. It was like day and night. “I was part of a middle-lower class family, trying to study and work hard. And was also drawn to technology. When my friend got his first computer, I wanted one too. This would have been early 1997. So my curiosity led me to do some college courses on computers, and this led directly to the creation of my first company at the age of 17. It was a web hosting company, which I ran for eight years while I was in college. I basically supported myself and my family financially through that company. “My parents didn’t have much, so I wanted to help them while being independent. I was lucky enough to ride the internet boom of the late 1990s and made enough money to pay for college, living costs, etc. Hence, I didn’t have to depend on my parents for support. The sale of his web hosting company meant that Quoc was free to take on new challenges, and the corporate ladder beckoned. “Corporate life was challenging but the company that really made an impression on me was Accenture. I worked for an Accenture subsidiary called Avanade, a technology consultancy firm. It worked like a start-up in the sense that a lot of us would come in and would try to build a new business. So there was a lot of diverse people, from many countries. That helped shape my future interactions, how to be very customer-focus, and savvy on the people side. Quoc has seen life at both ends of the spectrum, from tough and humble beginnings in a hostile environment, to enjoying the trappings of the free world. Such a range of life experiences marks a person for life and I was curious to know how he approached life in general, particularly after arriving to the States and experiencing a wholly different lifestyle. “I think the key is adapting. Life is busy. Life is life. Quoc is a very capable individual, no doubt about that. He’s been involved in a myriad of highly technical projects, ranging from web hosting to software development, and everything in between. The advent of blockchain technology has given Quoc a new arena in which to test his abilities. “I became involved with blockchain early in 2017. I started off trading cryptocurrency, and trading made me realize how money ties all of us together around the world. It is a common language that gets people’s attention. No other industry is as powerful as blockchain, when it comes to conveying that message. Quoc’s latest project is QUANTA, a crypto exchange platform. “We build fundamental blocks, which not many people are doing, as most are building off someone else’s technology. Our team is based in Silicon Valley and we are very familiar with building large institutional infrastructure. So we built two major frameworks for our project: The Order Book on the blockchain, and the Cross-Chain technology, which basically links several blockchains together. This enables you to bring in Bitcoin, or Ethereum, into the QUANTA ecosystem, and our system does the matching. Someone once said that free time is a terrible thing to waste. But still, having your own time, to do your own thing, is inherent to a balanced life. Quoc recently got engaged so another chapter is about to open in his life. Define yourself in a few words is one of the scariest things you can be asked in an interview. Yet, it creates an immediate, introspective rapport with yourself. I found it striking how the spectre of the Vietnam war still resonates today, over four decades after the end of this watershed conflict. Fear, hatred, and the systematic desire for revenge at a government level certainly had an influence on Quoc’s family, and himself. Quoc’s lifeline was the refugee program that enabled him to flee fear and hatred within his own country and become the professional achiever that he is today. You can follow Quoc through his LinkedIn profile, or QUANTA’s website.